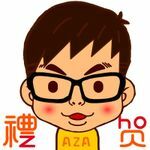 Aza Chen is a game designer and artist from Taiwan. He attends the Game Market in Tokyo and Osaka. He likes Family style games, Childrens games and Party games. He's active on Twitter and Facebook (see the Weblinks below). His latest games are Cat Tower, Doggy Go!, Cat Box, and Monster Cube.